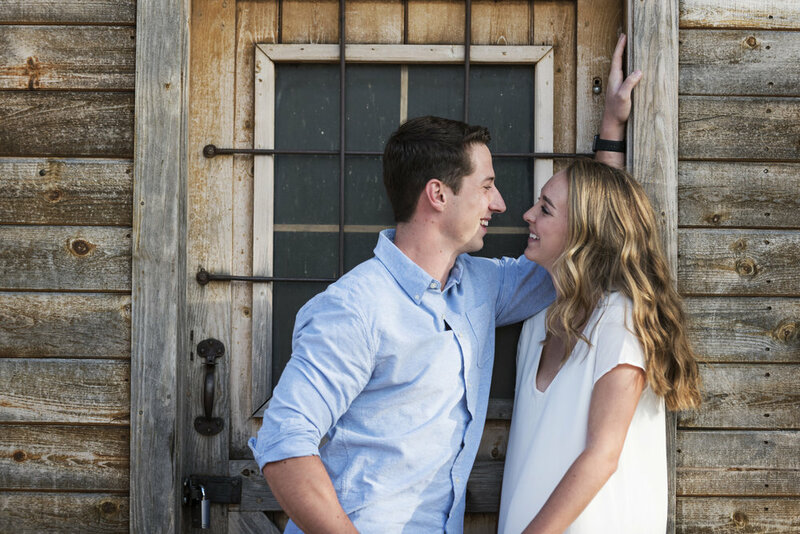 "Since he graduated in May of 2016, we have been doing long distance while I finish school. He came to visit me one weekend and before he left, he had me convinced I would not see him for another month due to our busy schedules. Little did I know he would be coming back to town the following weekend to propose. On Saturday, my friends and I had planned to go to dinner before things got crazy for us with school. One of my friends came in my room while I was getting ready for "dinner" and told me another one of our friends was stuck at the lake due to car problems, so we were going to go get her before dinner. As we were making the drive to the lake, I had no idea what was about to happen. When we pulled into the parking lot, I saw what I thought was his car and sure enough, there he was. I turned to my friend and said "what is he doing here?" She didn't answer me and just smiled. When I got out of the car, I gave him a hug and asked the same question. But at that point, I knew what was about to happen. 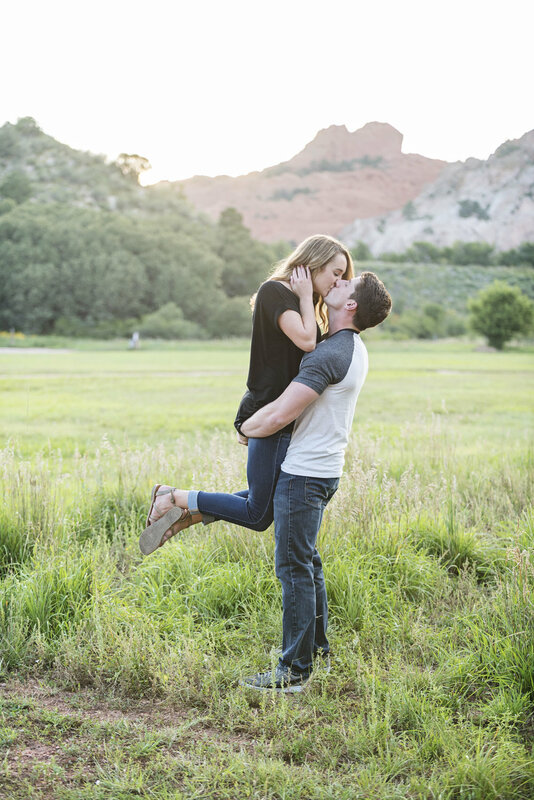 He led me around the playground to a grassy area facing the lake and the setting sun. He had set up a pathway of lights and candles leading to a table with red and white roses and a Bible engraved with my soon-to-be new last name. When we reached the table, he read me a letter he had written and three Bible verses. 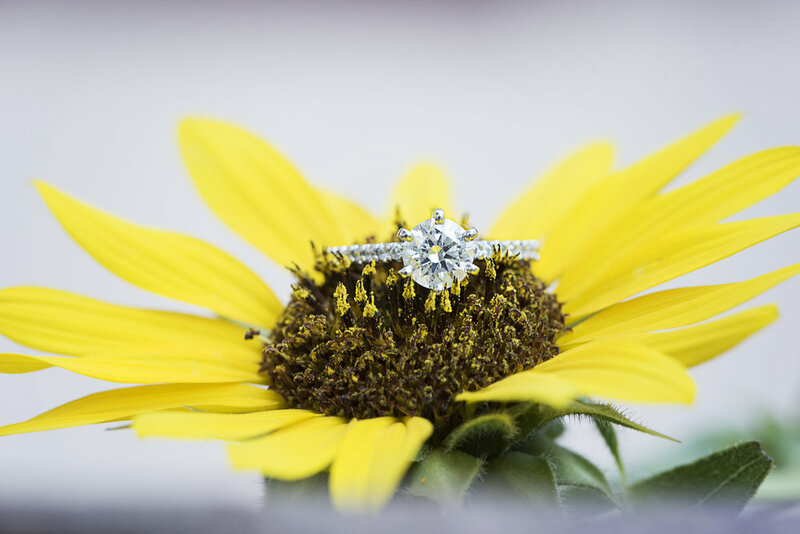 After reading the last verse, he got down on one knee and asked me to marry him!" 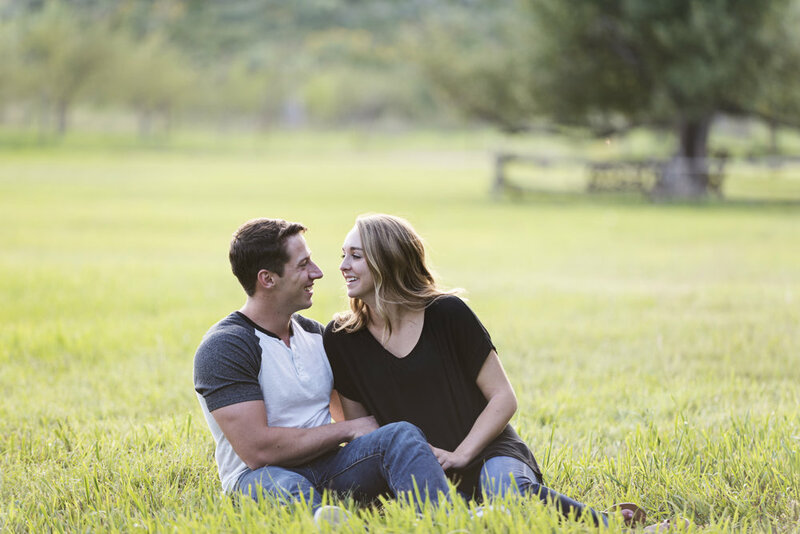 This romantic Rock Ledge Ranch engagement session is a Colorado Springs engagement session you won't want to miss. 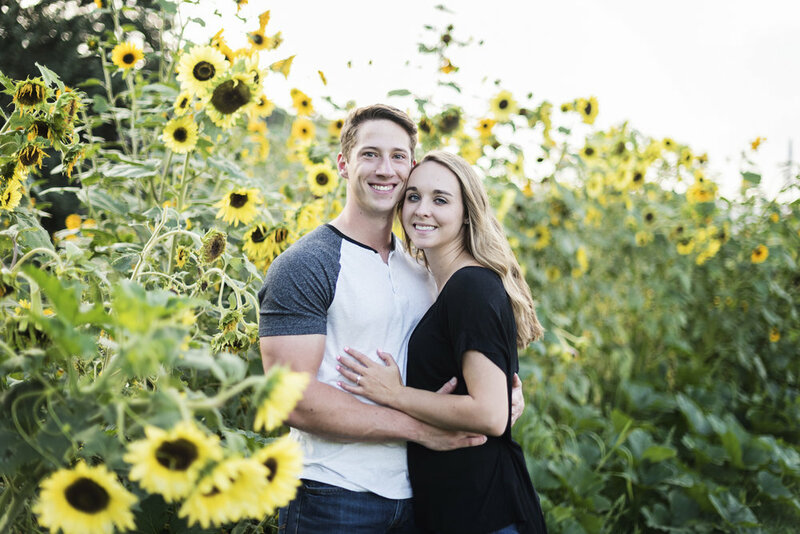 Beautiful scenery, lovely sunflowers, barns and the most beautiful couple.